If I had a penny for every time I heard this, I would be sitting on a beach right now. I know what you’re thinking. “Here comes the sales pitch”. I am not going to lie. I am extremely confident in the work that we do for our clients and that value that we add to their business. I also believe there is a huge need for the services we offer in the small business realm. However, I wanted to write this article to get you to think a bit. I have a passion for small business and love seeing other entrepreneurs succeed. Whether you work with us, may work with us in the future or will never even talk to us, I feel like this is a topic that needs to be addressed. Let me start with a quick story. A few years back we started working with a client who was struggling to make payroll each week. We were able to come in and completely take over their accounting department, allowing them to focus on growing their organization. Within the first year, they went from having very little money in their bank on a weekly basis to having over $100,000. For an organization slightly over $1m, this was a huge deal. 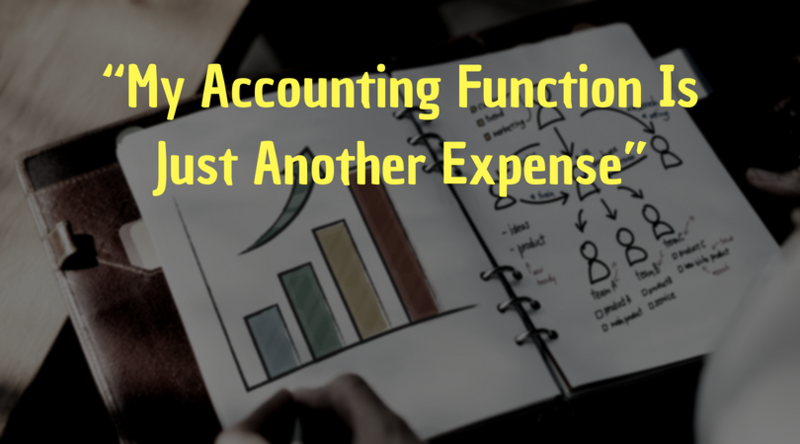 Having a strong accounting function is an investment in the success of your business. You need to 100% understand the financial health of your business and where you are going if you want to fully achieve your goals. Don’t get me wrong. Some accountants out there are just another “expense” on your P&L. They will answer questions when you ask, make sure your books are updated every once in a while and they will file your tax return. However, an accountant that will give you proactive advice, come to you with questions/concerns and is always looking to minimize your tax liability will be an investment in your business. If you own a business, I would encourage you to take a look at your current accounting function. Is it freeing up your time to focus more on your business? Do you feel like you accountant’s value is greater than their fees? These questions are extremely important and ones that every business owner needs to think about. If you want another opinion on how you can turn your accounting “expense” into an investment, shoot me a message and lets chat.